It looked and felt like a winter day. It was cloudy, cold, and windy. I’ve been on my bike longer on colder days, but today my heart wasn’t in it. The original plan was to bundle up and ride for 3 or 4 hours. I thought I might stretch it out, put it on cruise, and have a new year fat burning session. But my heart wasn’t in it. A leisure breakfast seemed like a luxury I could afford, and it could have warmed up later. Then it seemed there were a few neglected inside chores that needed me today. Maybe I didn’t want to “suit-up” with multiple layers when I was plenty comfortable right were I was. Through the day, I’d check the temperature. I’d look out the window to see if the clouds were still there…if the wind was still blowing. I wanted to ride and needed a little nudge from the outdoor conditions to get things rolling. Maybe it was the sadness in the house that took the zip out of me. Her littlest furry rascal was involved in an altercation yesterday and will be spending a few nights under the vet’s care. He’s still a furry rascal, but he’s HER furry rascal after all, and she’s not feeling so well right about now. I finally bundled up, forced myself out the door for a few minutes, and did the 3-mile loop. 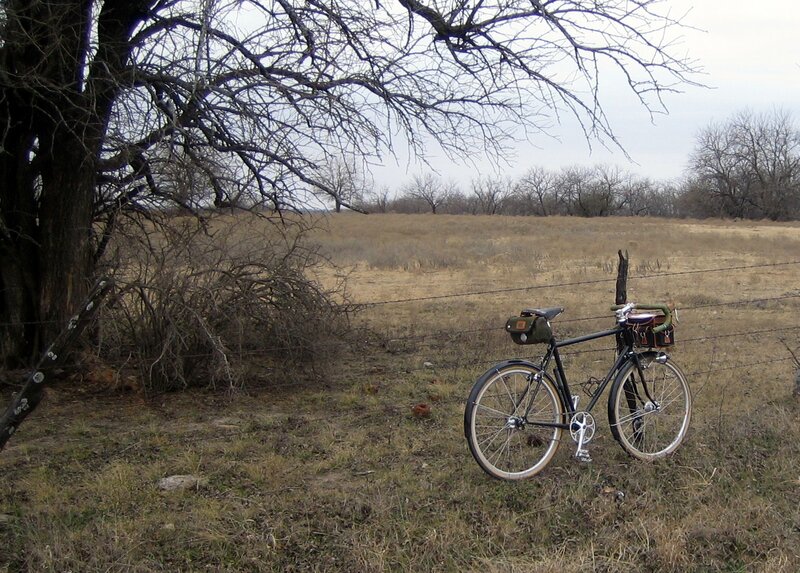 I guess I can say I rode the bike today, but it was cold, cloudy, and windy…and my heart just wasn’t in it. I love it. 3 miles. You rode, though. I rode the 6m to work yesterday and took ill in the afternoon. I did it, though, just like you. Short rides can be rewarding. Just ask my wife how many times I’ve done loops in the living room. Now that I think about that, don’t ask. That’s silly. Who would do something like that? don’t be too hard on yourself. we all have days like this.i’m ill at the moment with a cold and three days off the bike (so far) is torture!